Small business owners are so busy shoveling coal and doing the work of the business that this glimmer of a long-term vision they have for the business hardly gets any light. If you have some idea of where you want your business to be in a year, in five years, some day, I say put it out there for the world to see. Let your clients and prospects know your ultimate goal – even if you have no idea how you will achieve it. What I have found is that quite often the world will conspire to help you reach where you are headed, but only if you make it known. One of the most compelling things about being a small business is this notion of clients and networks coming together to help each other be something greater. It’s what makes your story so worth hearing. I’m way guilty of the “ready, shoot, aim” school of business, but very often when I share where I want to go with Duct Tape Marketing, people start showing up with a shovel in hand. So put it out there. Tell me where you want to go. Sidebar: I guess I should practice what I preach! 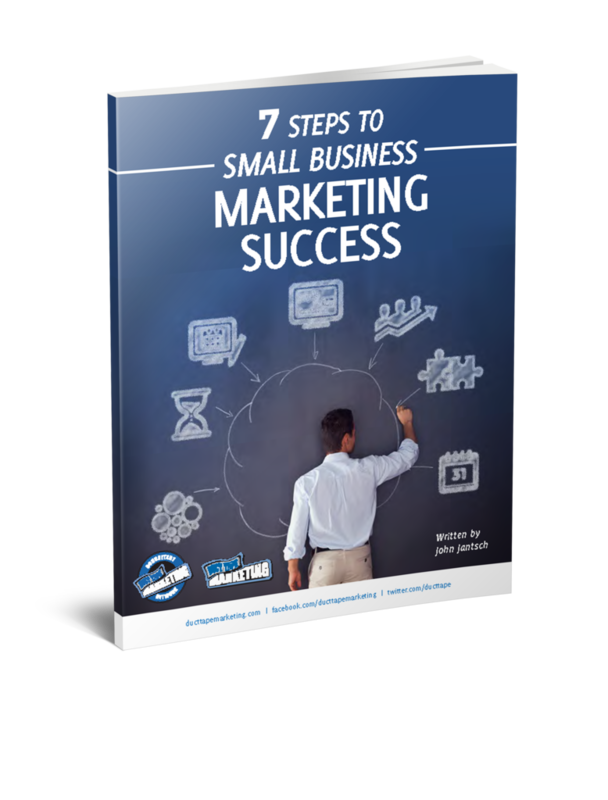 In the next few weeks I am launching a comprehensive, 12-week teleseminar series titled – The Ultimate Small Business Marketing Journey. In this series, small business owners will meet with me via teleconference and learn how to create a killer small business marketing system. In the next year, I will package the Duct Tape Marketing System and make it available for licensing to small business marketing coaches, writers, pr specialists and consultants worldwide – a business in a box with me as the trainer. So, there you have it – tell me what you think and stay tuned!